Why You Should Root + Patch Your Device? | Download-Our | Modded APK Apps, Games, Windows Apps & More! 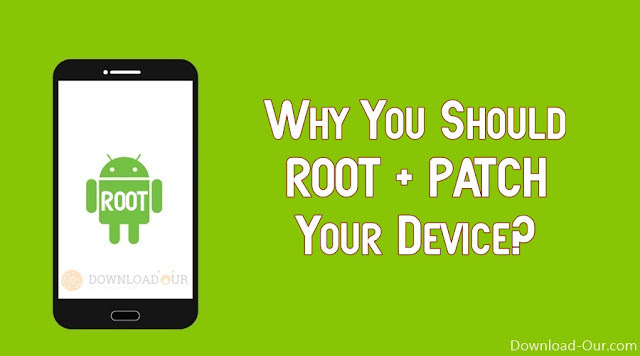 Hey buddies, I like to explain you why you should root & patch your Android device! I see only pros, no contras. Over this I think in the future it will be maybe only possible for root users to enjoy the real good MODs! If you are rooted, you're able to patch your device to ignore significations. You will never have the problem, that you have to remove the original game before you can install a MOD. You can install MOD over PlaystoreVersion and PlaystoreVersion over MOD to play legit again. You will never have the problem to loose your savegames. You can always login with Google+. You can login with facebook without removing the Facebook-App. You will be able to install ALL MODs on this planet. You have millions of possibilities. You will never need to pay for a premium version of an App. Download-Our | Modded APK Apps, Games, Windows Apps & More! : Why You Should Root + Patch Your Device?